After fifteen years in self-imposed exile, the haunted rebel prince Xander Drakos must walk back through the palace gates and assume the role he once abandoned. Only one woman can restore his good name—the woman he left behind. But when Xander finds Layna Xenakos, he’s horrified to see the effects of the turmoil he left behind written in the scars across her body. But her scars have given her strength, and Layna refuses to bow to his royal command. Now Xander must use his practiced charm to convince her to become his bride, securing his legitimate place on the throne. It was a quick and fun read. I think it was a sad a tragic story. It shows how one single incident can change the entire course of one's life. How one person can determine one's fate. It is a scary thing. The story is dark and deary, very emotional. It made me cry. Xander left his country and never planned to return. After all it was not his place to rule. But then love for his siblings and concern for their future made him to return. He was horrified to see the effects of his departure. especially the way his ex-fiance Layna's life was ruined because of his selfishness made him guilty. He decided to right the wrong and redeem himself. Layna had accepted her new life. she knew that nothing could ever be the same. Then Xander appears like a ghost from her past and once again she was thrown under the limelight. People weren't so kind to the scarred princess. She decided to make it work for the country's sake. This time Xander meant to stay with her and together they planned to work for their country. I must admit that this book wasn't what I had expected. Harlequin's books are rarely that emotional. Still I liked reading it. But I won't recommend it to people looking for light reading. In case you want serious and emotional stuff then this one is for you. Lucy Sexton is stunned when a dishevelled woman appears at the door one day…a woman who bears an uncanny resemblance to Lucy's own beautiful mother. 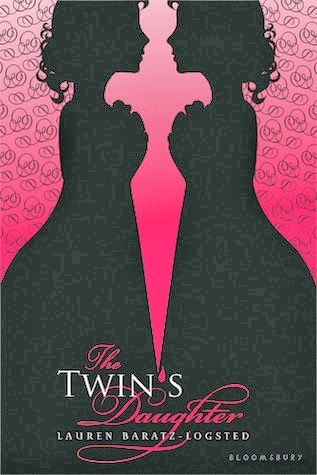 It turns out the two women are identical twins, separated at birth, and raised in dramatically different circumstances. Lucy's mother quickly resolves to give her less fortunate sister the kind of life she has never known. And the transformation in Aunt Helen is indeed remarkable. But when Helen begins to imitate her sister in every way, even Lucy isn't sure at times which twin is which. Can Helen really be trusted, or does her sweet face mask a chilling agenda? It is unlike any book I have ever read. Its a Gothic mystery. Usually I am not a fan of Gothic stories but this one was an exception. 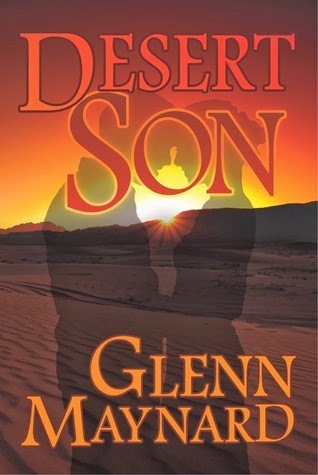 The book is well written, with a fairly good plot which will keep you guessing until the end. The story begins when Lucy opened the door to her aunt who looked so much like her mother that at first she didn't realise who the woman was. The two sisters are twins and clearly hadn't seen each other before. The story revolves around them. One has lived a life of luxury and the other has lived in poverty. But then her aunt arrives at their house and is readily accepted by them. The story intrigued me right from the beginning. It has some twists and turns that make it interesting. It was worth a read. There is not much that can be said without giving spoilers, which I don't want to do because the book's beauty is in suspense. All I can say is that if you liked historical books then you will definitely like this one. as long as you don't have anything against Gothic novels. "I mean, people were killed for things they believed, or didn't believe, things that other people were afraid of, and isn't it the same as now, people are killed for being different?" "Lass, you should be knowin' that we Scots don't hold with coincidence; more often than not, coincidence is the mark of greater forces at work in your life." "This book belongs to one Isoble Key." "... Look at Christians! Even my mother believe in miracles! And Muslims believe in angels. How is this any different? I may call it magic, and you may call it a prayer or miracles or angels, but we are all saying the same thing." "I know you don't believe what I believe, Tammy. But that shouldn't mean that what you believe is automatically right, and what I believe is wrong. There's a room for a lot of different idea in this world." "But secrets do not stay buried forever." A delightful read. I really enjoyed reading this book. It is in truth a book which can be enjoyed by people of all ages. A refreshing read, in time, when more and more books had started to sound like just the same. The story of Isobel goes side by side with Lou's story. It tells us about a woman wrongly accused of being a witch and burned. And how a quest to clear her name leads Lou to find herself & her family. 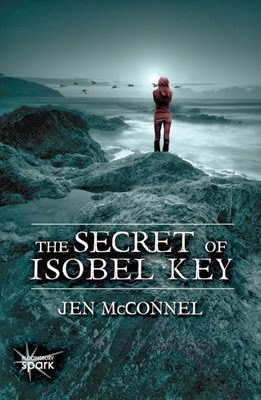 Isobel was betrayed by the man she fell in love with and after that she chooses to live in isolation. As more time passed people forget about her past and some even forget her true identity. To them she is just a weird woman who helps them whenever they need her. Children are scared of her and there are rumours of her being a witch. One thing leads to another and one day she is burned alive for the murders she did not commit. Lou is a modern day girl who has graduated from college early but still can't decide what she wants to do with her life. When her adoptive parents give her permission to take vacation with her best friend her life changes for the better. In Scotland adventure of her life awaits. This book has everything. Its a perfect mixture of romance, mystery and history. All the characters are well written and there are enough twists and turns to keep a reader entertained. With a knowing nod at the bodyguards as we approach my bike, I remove my second helmet from the seat and help her put it on, smoothing back her hair and strapping it. I step back and look at her. Standing beside my bike in curve-hugging denim and leather, the black helmet in place, she does look like a badass. My badass. And she’s never looked hotter. Cat does as I say, intuitively grabbing onto my hips, and pulling herself closer. She’s not close enough. She’ll never be close enough, but I take her hands and lace them around my stomach, then grasp her knees and tug them firmly beside mine. She slides an extra inch. The scent of leather and rose mingle in my nose as the heat of her body seeps past the denim. I could get used to this. She lowers her gaze to where my lips are behind the visor and shifts closer. “Look and lean. Got it.” Her voice is a mixture of excitement, fear, and desire. This was an excellent idea. Cat laughs, and pressed up against me like she is, I feel the vibrations throughout my body. I yank the clutch, press the starter, and feel her jerk behind me as the engine rumbles to life. “Best Valentine’s Day ever!” she screams in my ear. I ring the doorbell and step back to gaze up at Aly’s window. She’s tied back her yellow curtains, and I can see her running around inside, probably trying to find a purse or matching shoes in her disaster of a room. I kick the red brick and ponder the night ahead. As I see it, the night can end in one of two ways: our comfortable friendship will return after a night of fun and goofing around, or being with Aly on a date—even a pretend one—will make kissing her again all too tempting. I close my eyes and beg the universe for the first outcome. From the other side of the door I hear the click clack of shoes hitting the ceramic tile. 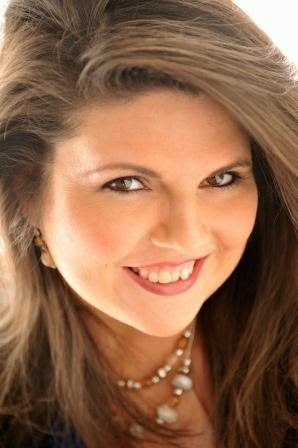 I straighten in preparation to greet Aly, but when the door opens, I feel my smile freeze on my face.I take in her white lace halter-top and the short denim skirt showing off her tan legs and swallow. I hadn’t been sure which outfit I wanted her to choose, and now...well,I’m still not sure which would’ve been better for our friendship, but I’mdamn sure enjoying the view. Aly nods vehemently. “They are the devil. From now on, it’s either ballet flats or sneakers on these bad boys.” She stops to wiggle ablack, flat-footed shoe. Ibreathe a sigh of relief at her playful tone. This is good. We stop at the passenger door and as Ihelp her into the cab, my fingers graze her bare lower back. Her blue eyes meet mine and then dart away. I cough and close her door, muttering a string of curses as I round the bumper and slam the door on my side. "My Favourite Quotes/Lines From the Book"
"I can understand you questioning the love you have for your wife, but you are wrong to hate her, Mr. Stanbury. She is ill."
"A man is rummaging amongst the flowers, shouting something incoherent about trying to find himself. He's not the only one." "Women. Most of them are bordering on the limits of insanity at the best of times." "I put down my pen. She has confirmed my suspicions. I now know exactly what caused her insanity. Books. Women and their books." "Ultimately, what do fancy homes and pricey possessions give to the person that owns them?" "Sometimes, simple human warmth can do wonders for a lost person." "Why did women decide to enter the workplace? A question that will no doubt confound me until the day I die. Curing the insane is easier than answering that question." "Of course, you are speechless. Sometimes I dazzle myself with my brilliance..."
Wow! this was some book ;) So I must confess that it was only my second psychological thriller and I was somewhat apprehensive about reading it. Because I have absolutely hated and loved the first one (It was Gone Girl by the way) and unfortunately or may be fortunately I have same mixed feelings for this one too"love and hate of my life." I can understand that!! P.S. I want to thank the author for the free copy in exchange of an honest review. My review is in no way biased. P.S.S. 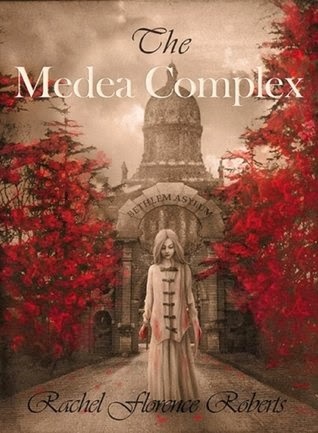 The winners of the Medea Complex Giveaway are Myra W., Hadia S., Chandi W., Amna K. and Quimataz Q. This is a life or rather after-near-death life story of Carter. The story begins with an out of body experience he had following a tragic accident. Both his parents die in that accident and he miraculously survives. But everything changes for him. He can't stand to be in his house and now that he has a destiny to fulfil he must follow his heart. It seems right to him to leave and go west. So he does that. Then we see different experiences he has along the way. How he feels, what he thinks. His life might be never be the same once he finds out the truth about himself. It scares him and also encourages him to seek the truth about himself. Then he meets Brenda and a whole new chapter of his life begins. The first few chapters are somewhat boring as the story develops slowly and there is much repetition about Carter's feelings and thoughts. Although some might enjoy minute details about his accident and the way he comes back to life. Once he is on his journey to seek the truth and fulfil his destiny, whatever that might be, story becomes more and more interesting. There is a sense of mystery which will keep you on edge. Finally ending in a most epic way. In the beginning I never thought It'd end like that. But I am happy that I read it. It was refreshingly different from books I mostly read. It was entertaining and a fun read. Not quite a 5-star but definitely a 4-star book. P.S. I want to thank the author for the ARC in exchange for an honest review. I enjoyed reading this not-quite-ordinary book. Publication Date: Edition 1, November 13st 2013. Edition 2, 23rd November 2013. Notes of merit: 5/5 star, Readers Favourite. Anne wakes up in a strange bed, having been kidnapped from her home. Slowly, she realises she is in a lunatic asylum. 1885. Anne Stanbury - Committed to a lunatic asylum, having been deemed insane and therefore unfit to stand trial for the crime of which she is indicted. But is all as it seems? 3. Do you still believe that women are controlled today by being labelled by media as "Crazy" or "Unstable"? How can we fight this? 4. What are some of your favourite books that feature unfair Asylum imprisonment? 6. Tell us a little bit about yourself. Newly 30 (!) born in Liverpool. I'm a nurse by profession, though now I'm a stay at home mum. I love shopping, travelling, spending time with family and friends, watching funny videos on youtube, good food, good wine, and a comfy bed. I'm scared of cows, hate ants, and think a tiger would be the best pet EVER. 7. What inspired you to write The Medea Complex? The inspiration behind the novel was my own encounter with postnatal depression following the birth of my (now two year old) son. Unfortunately, compounding this was the fact that I was living in a foreign country without any sort of support network (no family, no friends, etc),so I decided to do some research into the subject myself. I was astounded to find that PND is something that goes back through the ages, and somewhere along the way I fell into the Victorian Era. Subsequent research resonated with me personally: such as women being the property of their husbands, no rights to their children etc...and I thought to myself: "Just how far would a woman, any woman, go to protect their child?" Like that, The Medea Complex was born in its infancy. During the writing process, the story changed drastically and veered off the original course I had set inside my head: with each nugget of information I gleaned, every report from the 19th century I read, it somehow expanded and shaped the course of the novel. A lot can be gleaned by the title: but I warn you, don't judge a book by its cover, nor its title. Remember, The Medea Complex is a psychological thriller...and I like to play with my reader's minds! 8. Are you an avid reader? Who are some of your favourite authors and what are some of your favourite books? I read every single day, and I never go to bed without a book in my hand. I can't sleep without reading first! I think I've been reading my whole life. My absolute favourite books of all time (so far) have to be: The Book Thief by Markus Zusak, The Post-Birthday World and We Need to Talk About Kevin by Lionel Shriver, Shadow of The Wind by Carlos Ruiz Zafon, Catch-22 by Joseph Heller (took me three times to get 'into' it but I'm so glad I did! ), and The Other Boleyn Girl, by Philippa Gregory. I could add more! Recently, I have enjoyed Gone Girl by Gillian Flynn, and The Silent Wife by A S A Harrison...though i wouldn't consider them to be my 'favourites', they really are very good reads. More than anything, I love to read books that are original in some way. If I read ONE more novel about a stereotypical cop and serial killer, I'm going to scream. 9. What do you like to do when you’re not writing? What are your hobbies? I wish I could say I had a hobby, but I really don't! (Does reading count as one?) I would love to take up horse riding one day, I have that whole image of trotting along a sandy beach in my head....*sigh*. In the summer, I like swimming in the sea and doing a bit of snorkeling. Black. White shows up sticky finger marks too easily!2) Day or night? Night. I love long, peaceful summer evenings.3) Beach or mountain? 6) Team Edward or Team Jacob? Novels, I always feel bereft when a novella finishes so quickly! 9) E-books or physical copies? Physical copies. I love to hold a book...but that said, since I received a Kindle for a present, I've barely bought any paperbacks at all. It's just so much more convenient to download a book. I guess both have their perks. Sunset. When the sun rises I like to be buried underneath my duvet.